Christ’s prayer in the Garden of Gethsemane on the eve of His crucifixion is poignant because of its devastating description of the agony of the Lord as He was about to make His ultimate sacrifice. His fleeting fancy, “If it is possible, let this cup pass” and subsequent, solemn affirmation, “If this cup cannot pass by me, but I must drink it, your will be done” (St. Matthew 26:42), is a powerful testament to Christ’s love for humanity and obedience to the will of God. It is also an important illustration of the value of the spiritual retreat as a source of fortitude in Christian life. Archbishop Óscar A. Romero of El Salvador is said to have had his moment in the Garden during a spiritual retreat just weeks before his March 1980 assassination. “I want this retreat to join me more closely to His will,” Romero wrote in his notes for that retreat. Romero was an enthusiastic advocate of spiritual retreats. “In everyone’s heart there is, as it were, a small intimate cell where God is able to speak with everyone individually,” he had preached to his flock upon taking up his ministry three years before. “If every one of us who are so concerned about so many different problems and situations were to enter this ‘small cell’ and from there listen to the voice of the Lord who speaks to us in our conscience, how much more would we be able to do to better our situation and the situation of our society and family,” he said. During his priesthood, Romero became an avid practitioner of spiritual retreats and followed the Exercises of St. Ignatius as his retreat guide. According to his biographer, “[n]otes that Romero later made during shorter retreats, some of them based on the Spiritual Exercises of St. Ignatius and repeating some of the key exercises, reveal that the Exercises continued to influence his spiritual journey.” In fact, “[w]hen he became a bishop, he chose a phrase related to the Spiritual Exercises for his episcopal motto: ‘Sentir con la Iglesia,’ which means ‘to be of one mind with the church’.” Romero implemented the practice of holding Lenten retreats for the clergy of his archdiocese, also intended to demonstrate his fidelity to the Roman Pontiffs, by emulating this practice of the Popes. As Archbishop, Romero continued to value silence and solitude as a favored environment for prayer. During his final Lenten sermons, Romero emphasized the point: “rather than preach I would prefer that we would sit in silence and remind ourselves that this passage is a summary of our own personal, individual lives,” he underscored in explicating one of the Sunday readings. In words that redirect us to his nights in the seminary chapel, he urged, “My sisters and brothers, I invite all of you to read this passage in your homes or in a church or in some silent place and reflect on your own life.” Even as archbishop, Romero continued his practice from youth of taking advantage of the quiet hours to retreat to prayer: “he would be very irritated if somebody interrupted him in the early morning hours while he was praying.” Vincenzo Paglia, Óscar Romero, Un Obispo Entre Guerra Fría y Revolución (San Pablo Press, 2012), part I, ch. 5. Eternal Lord of all things, I make my oblation with Thy favor and help before Thy infinite goodness and before Thy glorious Mother and all the saints of the heavenly court; that I want and desire and that it is my deliberate determination, only to be of greater service and praise to Thee, to imitate Thee in suffering all injuries, all blame and all poverty, be it material or spiritual, wishing to choose Thy most blessed majesty and to receive it in such life and condition. 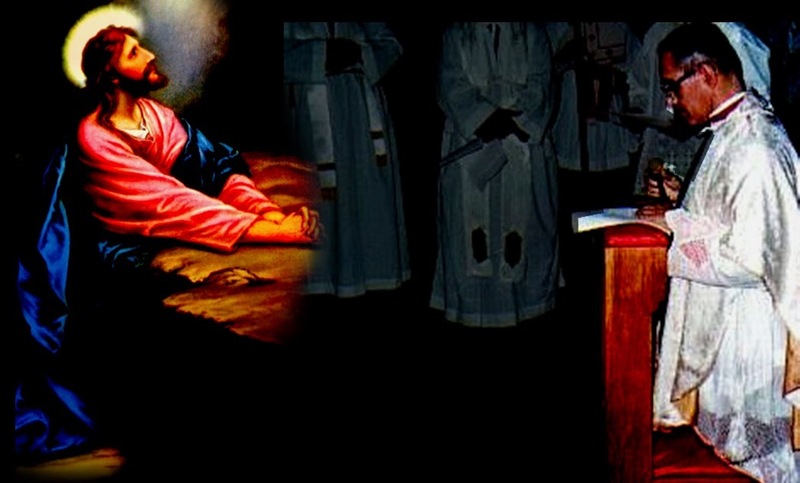 Thus do I express my consecration to the heart of Jesus, who was ever a source of inspiration and joy in my life. Thus also I place under His loving providence all my life, and I accept with faith in Him my death, however hard it be. In the way he faced his death, as in the way he lived his life, Archbishop Romero preaches to us that if we make a “small cell” for God in our lives, we will have an oasis of solace during times of trial.